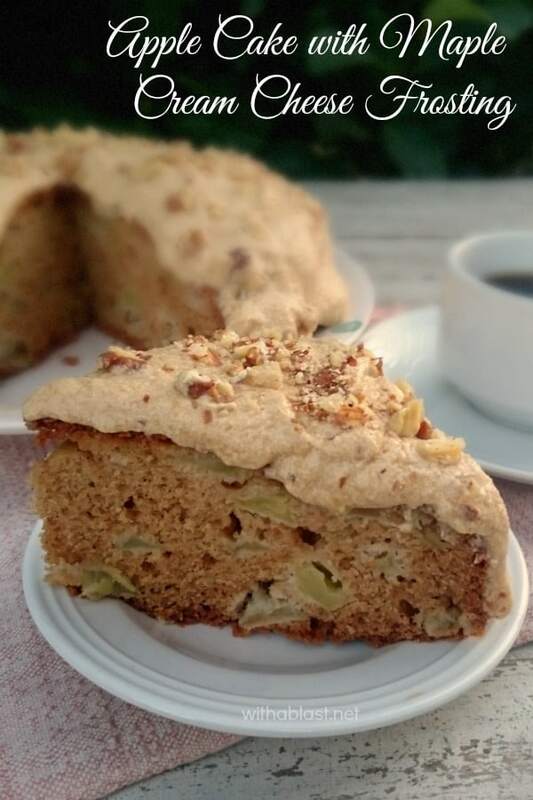 I make this Apple Cake with Maple Cream Cheese Frosting quite often as it was a hit with my family since the first bite. 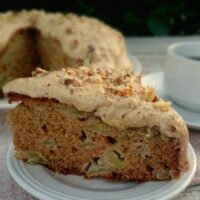 It is such a simple Apple Cake recipe and when ever we have red apples in the kitchen, you can be sure this cake will be baked. We normally buy Golden Delicious or Granny Smith as those are our everyday favorites. Grab one on the way out and our lunch is halfway sorted out. My son loves fresh fruit and I try to buy a variety at a time. The red apples I only buy for baking, never been on the favorite list for eating as is, but most certainly the apple to use for cakes and muffins. 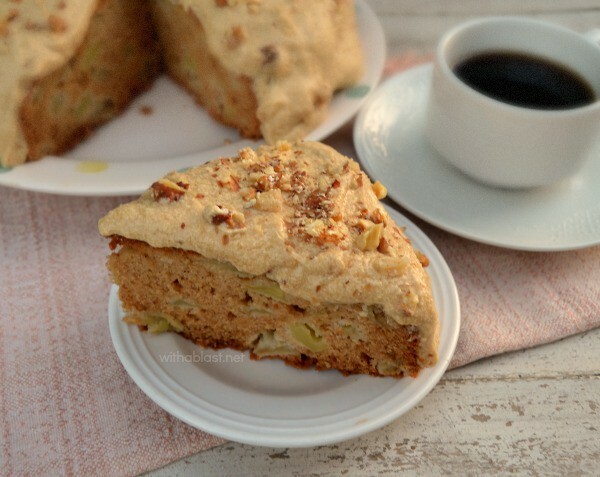 The Maple Cream Cheese Frosting is also a straightforward recipe and goes so well with the Apple Cake ! I rarely use any other type or flavored frosting, because why mess with a winner, anyhow ! If you are looking for a no nonsense, no frills Apple Cake, this is the recipe for you. I have to admit I am kind of addicted to Cinnamon and often add a lot more than what most recipes call for. But do be careful, too much and it will leave an after taste which is not what you want.